Nobody really knows what's going on here. 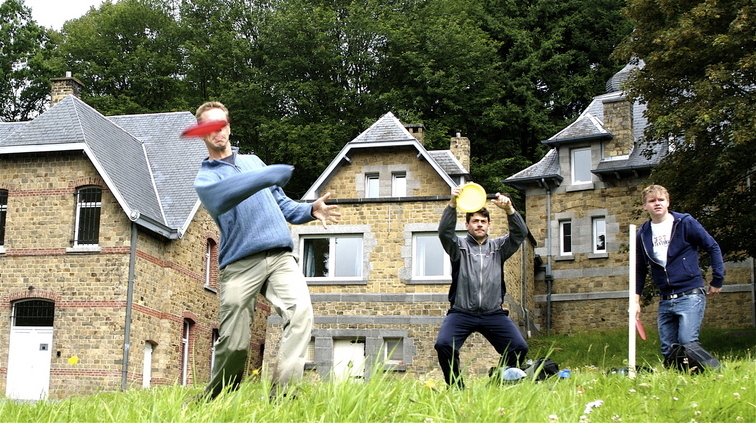 Who's the mystery golfer with a disc in his head, has Sinus Frank taken on Tai Chi and is Heimir about to run away from the scene of the crime? I like the colours, they remind me typical mood of an english movie.